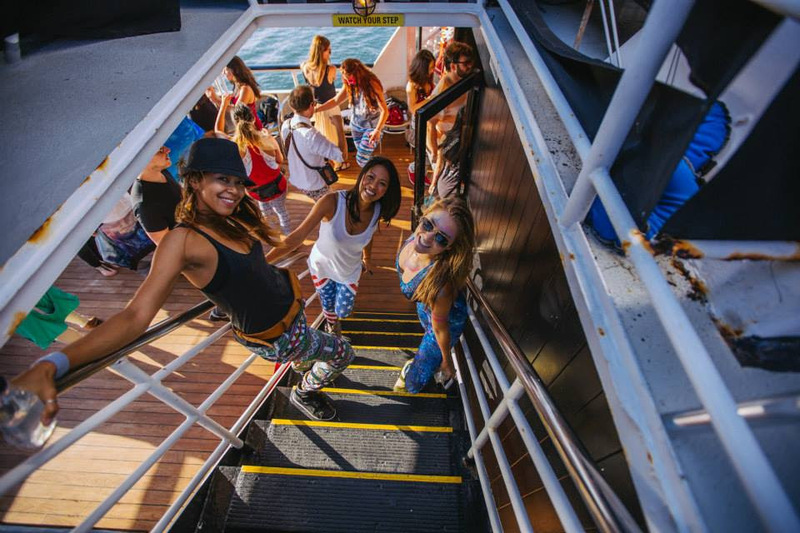 Everyone's favorite sunrise rave returns to the Westside on Thursday for another cruise in the Marina, and this time Daybreaker begins extra, extra early with pre-party yoga. Venice locals Rachelle Tratt and Glennie Rabin "Dirt & Glitter" will get Daybreaker started bright and early with yoga and DJ set. Get your body in motion starting at 5:10 a.m. with the Venice duo known as Dirt & Glitter—yoga instructor Rachelle Tratt and DJ "Glenniest" Glennie Rabin. Then cast-off with your mates for an hour and a half offshore adventure where energy kicks into high gear with DJ beats courtesy of Marques Wyatt. Complimentary coffee, juices and breakfast snacks will also be served to help fuel the festivities. After the yacht docks, dancing continues until 8:30 a.m.
Tickets for yoga and dance party are $40. Early bird dance party-only tickets are $30, and then go up to $35.